NASHVILLE, Tenn. (July 11, 2017) – Logan Mize continues to prove that he is one of the hottest artists to watch in country music. 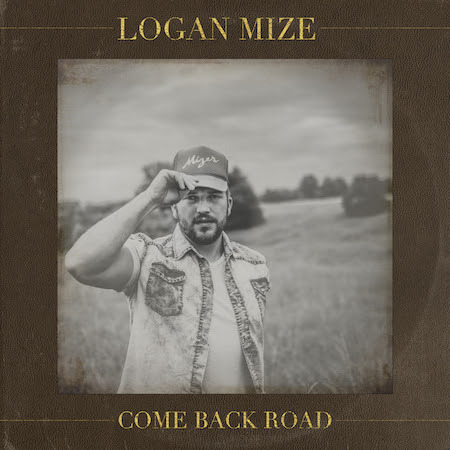 With cutting-edge successes throughout his career and strong fan feedback Mize will deliver a 12-track album aptly-titled Come Back Road on July 28. The strength of the songs on this album comes from A-list writers including Mize himself along with Josh Kear, Ross Copperman, Matraca Berg, The Warren Brothers, Rodney Clawson, Shane McAnally, Josh Osborne and many more. The full-length Big Yellow Dog Music release produced by Dan Agee is available for pre-sale HERE. The first single, “Ain’t Always Pretty” has already seen more than 20 million streams on Spotify where it is featured on the popular playlists ‘Hot Country' and ‘New Boots.’ It is also included on Apple Music’s notable ‘The A-List: Country’ and ‘Cool Country’ playlists. Launched by The Bobby Bones Show, the song is quickly becoming the most popular single ever released by the fast-rising performer, catapulting him to success. After being dropped from a major record label Mize is continuing to pave his own yellow-brick road to success. "I've never put my voice behind a bigger or better group of songs. I would love to see them connect with a grand scale audience that loves them as much as I do," said Mize.